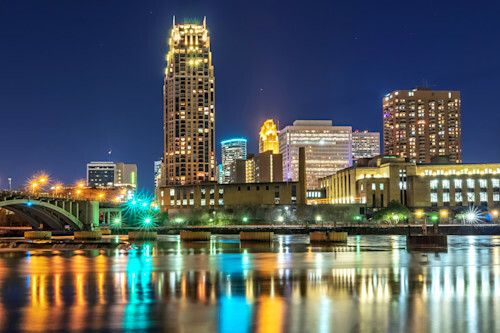 The Carlyle Tower in Minneapolis stands tall along the banks of the Mississippi River on a beautiful winter evening. See other media options for Carlyle on the River here. The elegant and beautiful Carlyle Tower dominates the Minneapolis skyline when viewed from Nicollet Island. 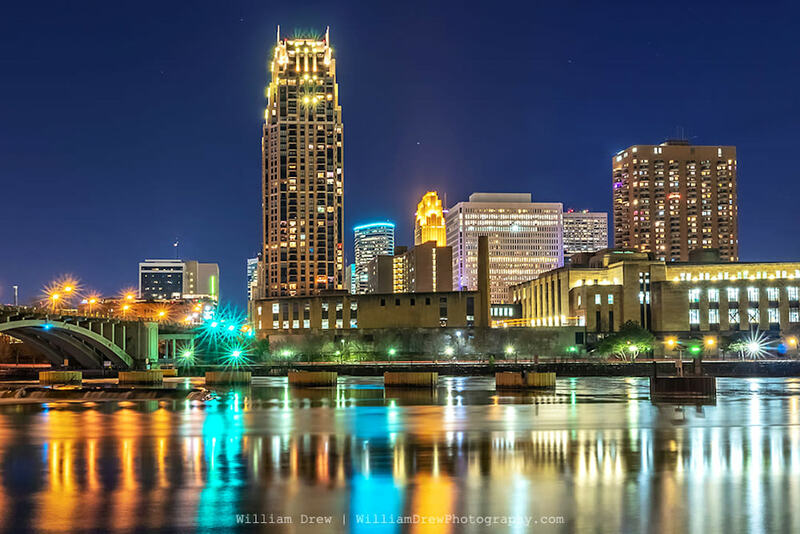 This nighttime shot of this scene casts some colorful reflections in the Mississippi River. 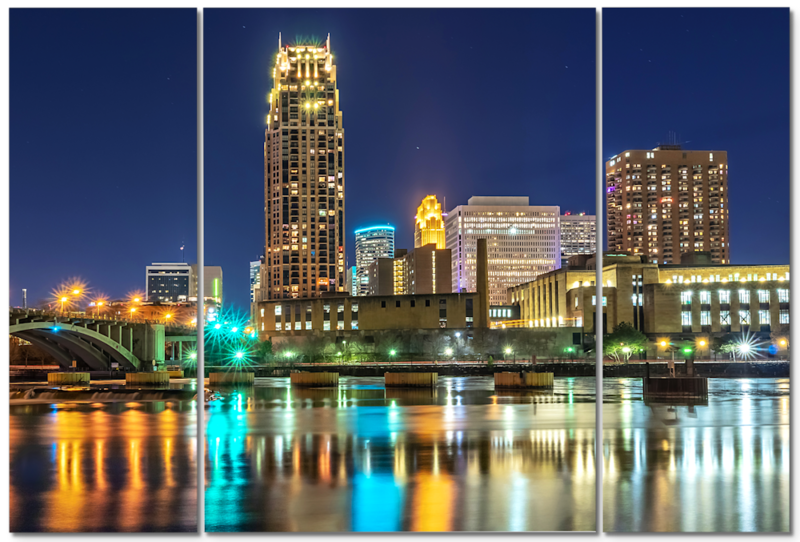 I hope you enjoy the Minneapolis Skyline views in this print, and please feel free to share! Carlyle on the River photograph as Fine Art.